Item is a watercolour sketch of a costume design for Ballet Jorgen's production of Swan Lake. 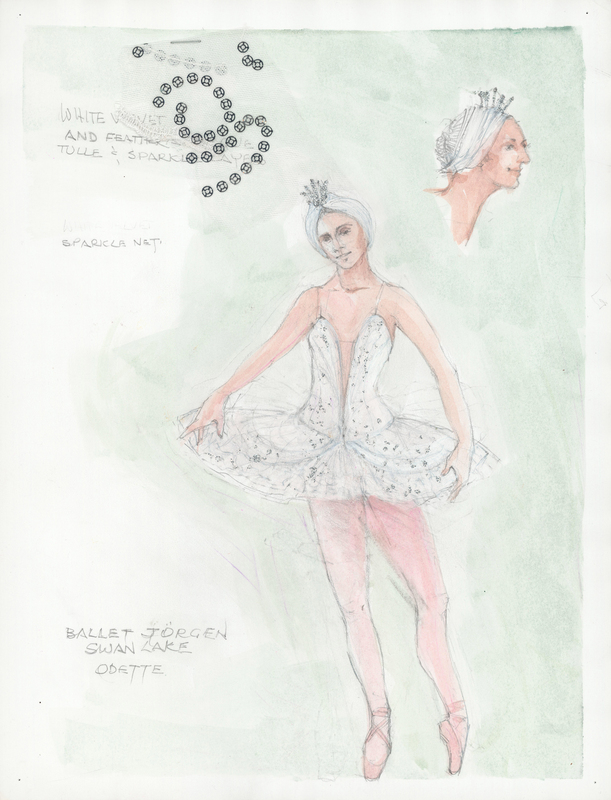 The costume is for Odette and the sketch shows one female figure wearing the costume, as well as a side view of the headdress. A fabric swatch is stapled to the sketch.